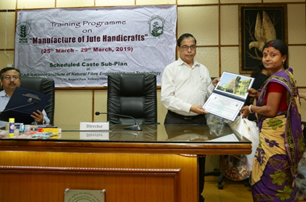 A 05-days training programme on “Manufacture of jute handicrafts” under scheduled caste sub-plan (SCSP) was organised at ICAR-National Institute of Natural Fibre Engineering & Technology, Kolkata from March 25-29, 2019. 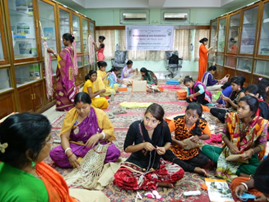 Fourty (40) trainees of scheduled caste community associated with jute production & processing from Malda & Hooghly districts of West Bengal have participated in this programme. In the closing ceremony, Dr. N.C. Pan, Director has distributed the certificates to the trainee participants. Tools & raw materials required for manufacture of diversified handicraft products were also distributed to the participants. Dr. A.N. Roy, Head, Transfer of Technology Division has briefed about the need of this training in developing entrepreneurship in jute sector. Dr. Laxmikanta Nayak, Principal Scientist & Chairman, SCSP Committee has co-ordinated the training programme and highlighted upon the importance of the training in the socio-economic development of scheduled caste communities. 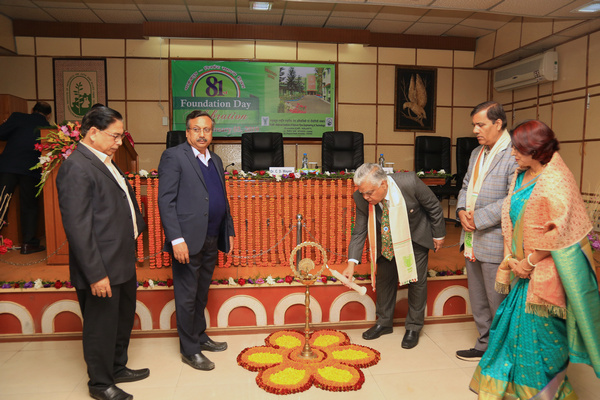 The ICAR- National Institute of Natural Fibre Engineering and Technology, Kolkata celebrated its 81st Foundation Day today. 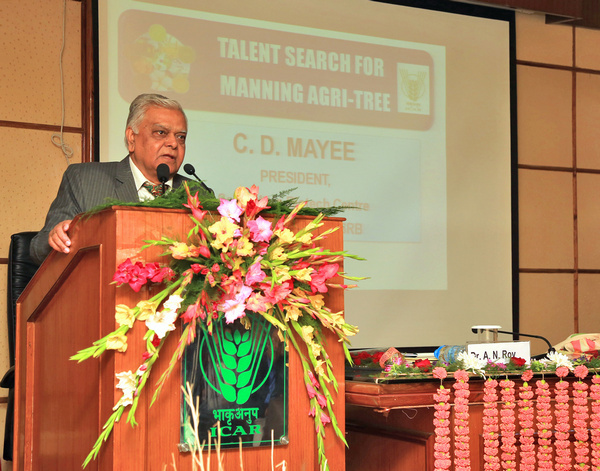 Dr. C. D. Mayee, President, South Asia Biotech Centre & Ex-Chairman, Agricultural Scientist Recruitment Board (ASRB) marked his presence as the Chief Guest and delivered Foundation Day Lecture on the topic “Talent Search for Manning Agri-Tree”. He expressed that, NINFET is a unique institution in the world working on Natural Fibre Engineering & Technology and asked to reorient its technology building programmes based on current requirements and stimulate innovations, provide know-how for developed technology and networking, retrain scientists and create awareness for entrepreneurs. While delivering foundation day lecture, he emphasized that value addition to fibre wealth of India viz. Jute, Okra, Pineapple, Banana, Ramie, Coconut has tremendous potential in India for increasing employment in the rural areas, reducing post-harvest losses and increasing income of the farmers and agri-entrepreneurs for doubling farmers income by 2022. Dr. S. N. Jha, Assistant Director General (Process Engineering), ICAR marked his presence as the Guest of Honour for the function. Dr. Jha, in his address expressed his profound satisfaction on the achievements of NINFET in dealing with Natural Fibre Engineering & Technology with special emphasis on diversified product from different natural fibres. 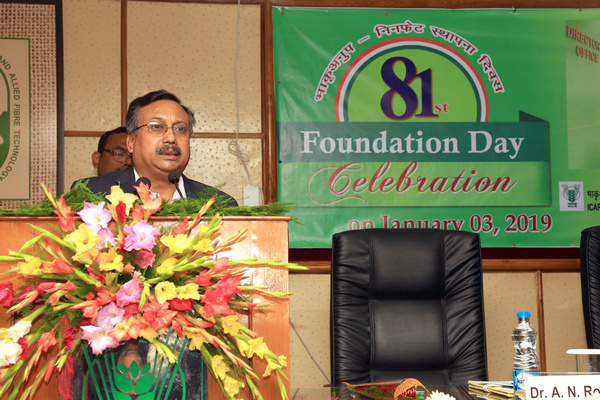 He said that the institute has done commendable work during the last 80 years. 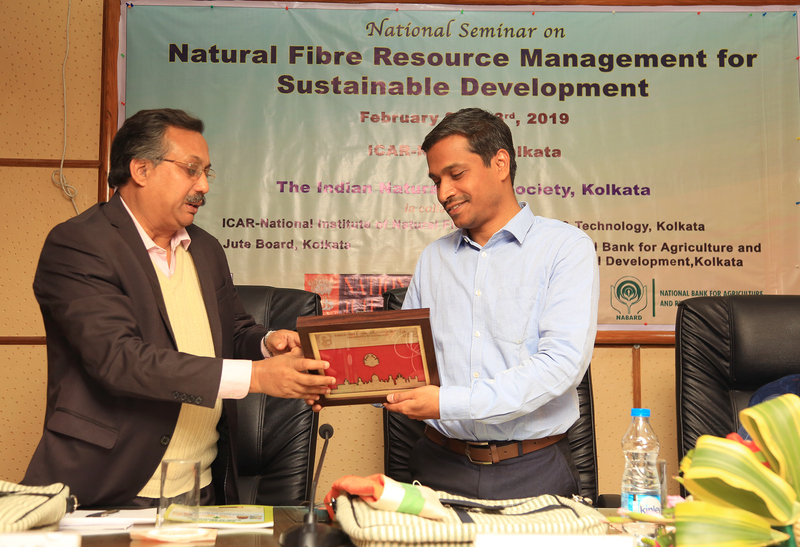 He cautioned that great achievements of the past should not bring any complacency; rather institute should clearly set its future priorities to move ahead with a focused approach recognizing the changes that have taken place in engineering of natural fibre. Attempt may be taken to make food from fibre. He said that new name of the Institute as NINFET will give a new paradigm in new research area through new technological intervention. 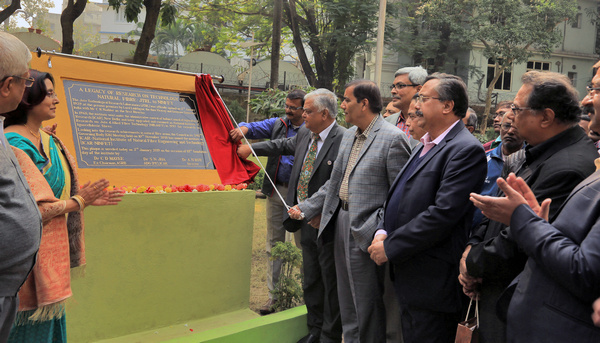 Dr. Alok Nath Roy, Director(Acting), ICAR-NINFET in his welcome address, briefed about the historical progress made by the institute from JTRL to NIRJAFT culminating to its present rename as NINFET. Hespoke on the current focus and future strategies NINFET. 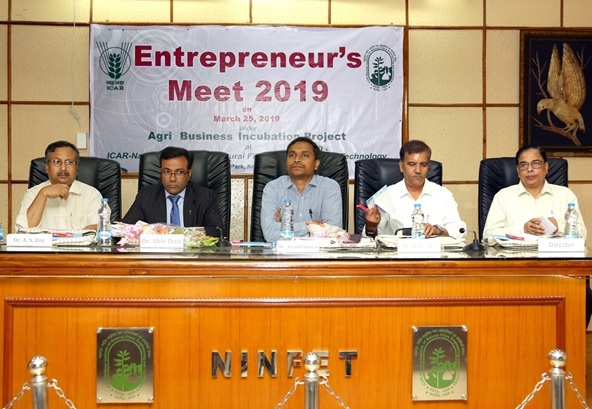 Dr Gautam Bose, Acting Head, MP Division presented an overview of the contribution of ICAR-NINFET to the nation including research, technology generation and human resources development. In-house Rajbhasha Magazine “Devanjali” for the year 2019 was also released by the dignitaries. Wards of employee who have shown their excellence in matriculation and +2 exams were awarded on the occasion. 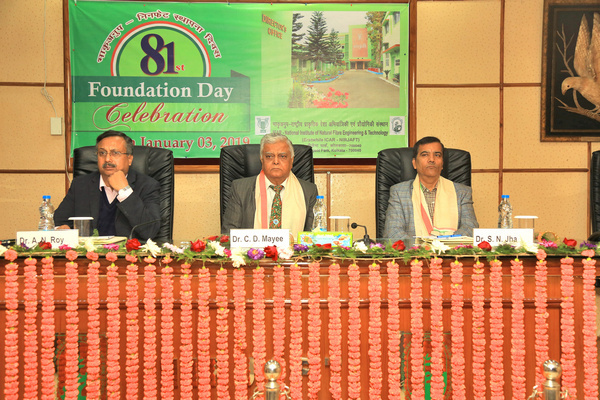 All the staff members from NINFET including large number of retired employees of the institute along with other invited dignitaries graced this occasion and participated in the programme. 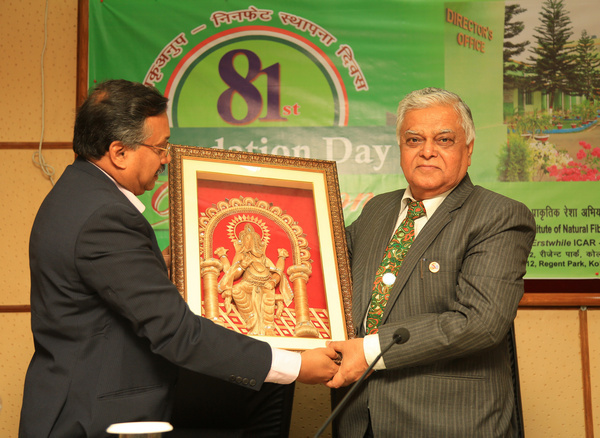 Dr. S. N. Chattopadhyay presented vote of thanks on the occasion. 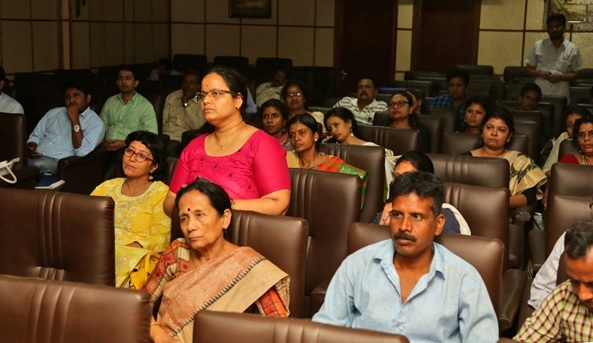 A cultural programme and a quiz competition was also organised amongst staff members of the Institute. 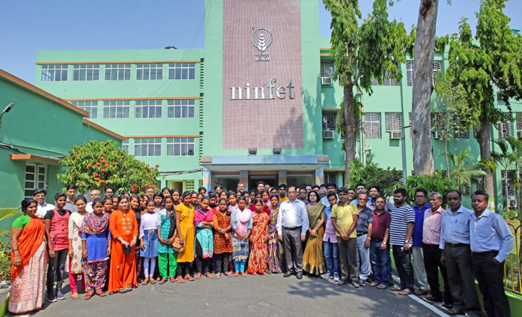 Swachhta Pakwada (December 16-31, 2018) at ICAR-NINFET. ICAR- NINFET celebrated Swachhta Pakwada during December 16-31, 2018 and closing ceremony on 31.12.2018. 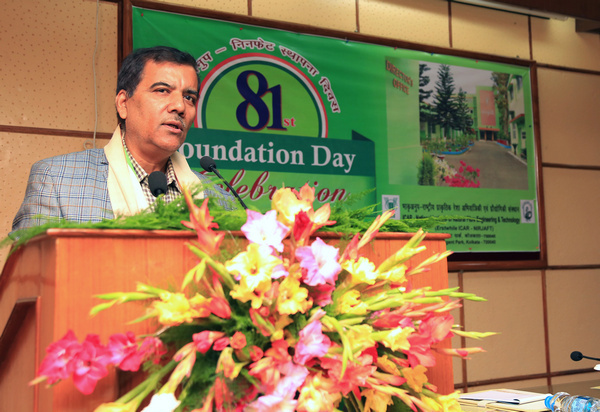 Director of the Institute welcomed audiences and stressed upon cleanliness drive to our institute and towards society. Smt. Jayanti Ray, Principal of Narmada School joined the ceremony as Chief Guest. She mentioned importance of cleanliness in our society, she also highlighted role of mother towards the children who learn cleanliness drive first from her mother then teacher. She explained the value of clean environment and the responsibility of the citizen to keep our globe clean and green. The Chief Guest and Director of our institute distributed prizes to the winners of school students and staff members who participated in different competition on swachhta awareness. The function ended with vote of thanks.